The six main auditing firms will have their senior appointments vetted by the Financial Reporting Council (FRC) as it steps up efforts to monitor their work. The FRC said it wanted to restore public confidence in auditors. Their effectiveness has been called into question after a string of accounting failures at major firms. 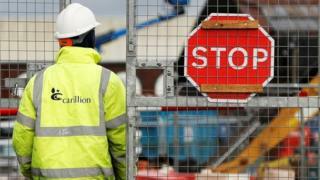 In particular, the collapse of construction giant Carillion, which went into liquidation in January, has focused attention on the work of one big auditor, KPMG, which approved the firm's accounts 10 months earlier. The FRC made its announcement as part of what it called a "significant stepping up" in its supervision and monitoring of audit firms. PwC, KPMG, EY, Deloitte, Grant Thornton and BDO, which between them audit nearly all big company accounts in the UK, will now be subject to intervention by the FRC in the process of filling "key leadership and governance roles". An FRC spokesperson said the regulator would have discussions with the firms once they had identified a preferred candidate for a top job. "At that stage, if not sooner, we would want to be involved," the spokesperson added. Melanie McLaren, executive director of audit and actuarial regulation at the FRC, said: "The work of the Big Six audit firms is core to the integrity and transparency of UK capital markets and so it is vital that the FRC introduces a new approach." She said the FRC wanted to be sure that top candidates met its expectations "in terms of experience, skills and attributes". "Where we do not have specific powers in this regard, we will look for the firms' co-operation," she added.